I do not normally spend much time decorating my home for the seasons, but I do attempt to bring a bit of Christmas spirit to certain areas of the house. 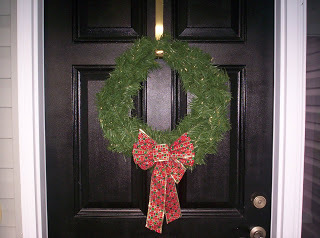 There is the wreath on the front door that reappears every year. …. and a little arrangement on the piano. My treasured nutcracker, brought to me from Germany by an old friend, livens up the mantel. Our daughters enjoy counting down the days until Christmas with our Advent calendar. This nativity set, which was also a gift from friends, is one that we’ve had for years and reminds us of the real reason that we celebrate Christmas. I’m keeping an eye out for a good deal on a small tree that we could put up in the girls’ room. 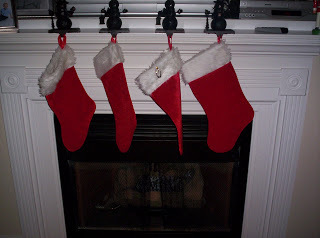 Do you have Christmas decorations throughout your home? If you’ve written a post about them, please leave a link in the comments so that we can admire your handiwork! Visit Celebrate the Holidays for more Christmas inspiration then go to Show and Tell Friday, Hooked on Houses, The Inspired Room, Home for the Holidays and Nesting Place to see how others are decorating their homes for the season. Everything is so nice and festive!! I really like your nativity set. I've been on the lookout for one. They are either too big or too small. I saw a Willow Tree nativity set at the Hallmark store a few weeks ago and I was afraid to ask the price of it! It was beautiful though. I love your traditional Christmas decor! 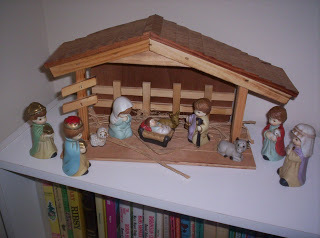 Your nativity is just lovely it looks so much like the one we had when I was I child…I miss it! What lovely decorating you have done! Thank you for posting to the party. 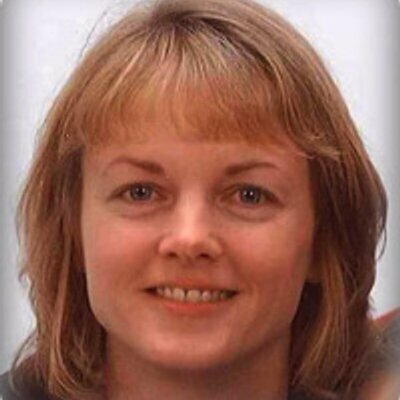 I am now a follower and subscribed. 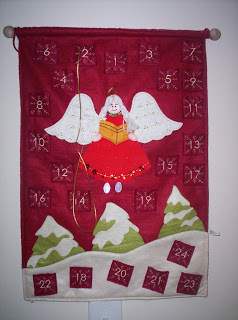 That advent calendar is so pretty and, as many advent calendars as I've seen around blogland, it's one I haven't seen! 🙂 I love that the nutcracker and nativity are gifts from friends – it makes them that much more special. Looks like you're all ready for the holidays. I love the nutcracker…I've started collecting them the past couple of years (which is odd, considering I'm allergic to nuts). If you get a chance, stop by my blog today and enter my children's Christmas book giveaway. Your home is so pretty, love your decor! Merry Christmas! Our kids have table top trees in their rooms. I guess I should've included pics on my holiday tour but often their rooms are messy. Have a blessed Christmas from one homeschool mom to another (I'm assuming that from your side bar). So correct me if I'm wrong. So sweet!!! Love all your decorations!! During the summers, I try to do a bit of light schooling with them, mainly to help them explore areas of interest that aren't fully developed during the school year. About May of each year, my husband and I evaluate how the school year has gone, as we are open to homeschooling should we feel it is in the best interest of our children. However, to this point we are pleased with the Christian school they attend, so will see how things progress as they grow. Cute, I especially like the wall hanging. 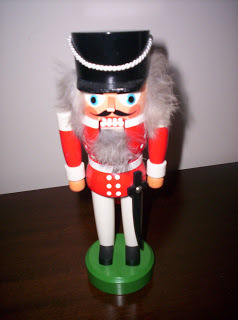 Christmas is such a great time to bring out treasures like your nutcracker! Thanks for showing us around. Come by and visit me anytime. Merry Christmas! It all looks so festive! Thanks for showing us around! I am stopping in from Nester's place. 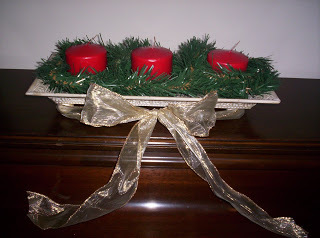 To see my tour click on the 'Christmas 2009' tag on the left sidebar of my blog. Stopping by from Nesters! I love how everything has a story that is how I am too!